I hope that it will not be a problem if I will made a new topic, only from roumanian side. Below, you have a short link from our latest meeting and our homepage. Great news for us to know that in other countries people are joining in community of Cee'd owners. Or if we can be near to Kia slogan, we can say "Kia, the power to unite". Sound better no? No problem, comrade! Glad to see you here! For example, few our cars. I have seen that you are more than us. But please note that we are at the start and the reasons that we will not achieve this high number are demographics and economical. We tried to show that you are not alone and are a lot of people who have hthe same passion for this type of car. In the first photo you have also our logo. Your, and mine, colleague @veil give us a hint: to try and make an international meeting into a neutral territory. Our Cee'd Club is really international and the most powerful commonwealth of autoowners using this wonderful vehicle. 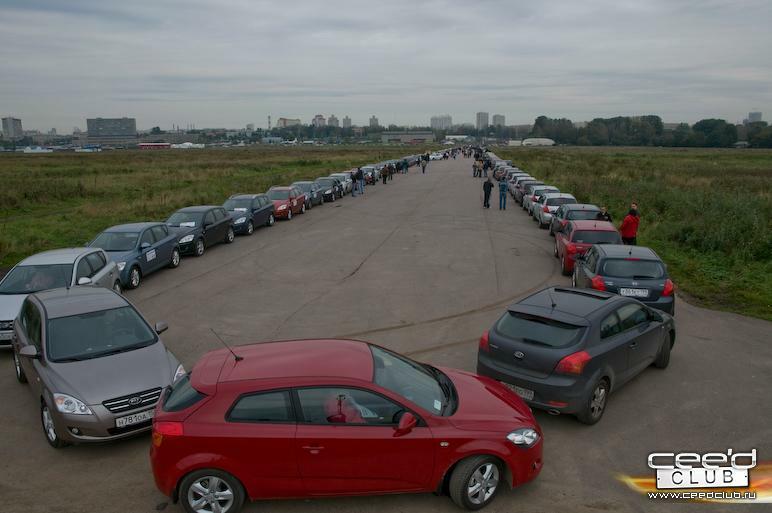 It was 354 cars on guiness records for largest column of Kia Ceed. Glad to see you here! I wish you and your wife happiness, endless love, to be always healthy. And, or course, I wish you both success in life! I hope that we will have long life near our friends and our beatifull cars. My colleagues from our forum was informed that I am in touch with you and again I must say "All the best for all Kia owners from Roumania!". We will expect the summer, because none of us did not see Moscow. It will be a pleasure for us to help you to break the last record with a larger Kia Ceed caravan. Regarding our organization, we have a meeting every month. It is a pleasure for us to travel all over the country to see other Kia fans.